This statistic shows the number of marriage dissolutions per 1,000 marriages in the Netherlands from 2007 to 2017, by cause. 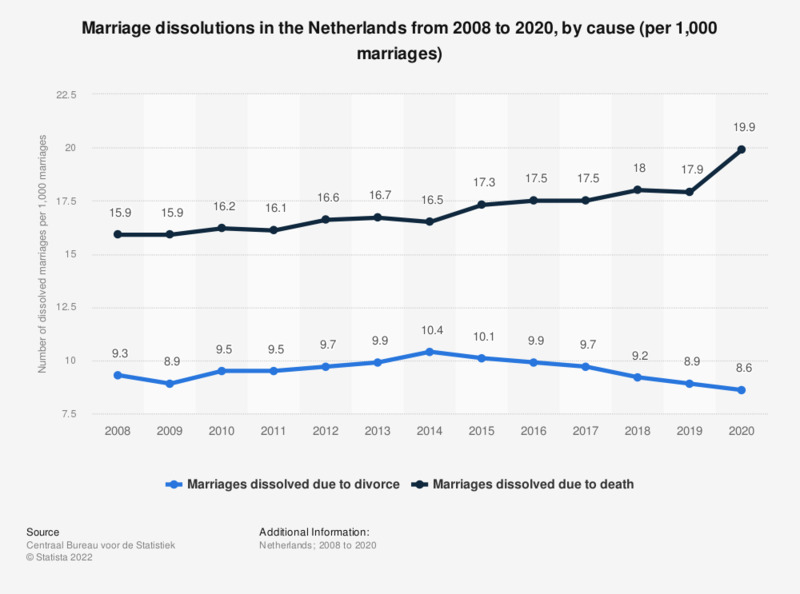 It reveals that most marriages dissolved between 2007 and 2017 in the Netherlands were because one of the two partners died. Marriage dissolutions include dissolutions because of the death of one of the partners as well as divorces. It does not include registered partnerships, only marriages.